Google has updated the Android 4.2 changelog with all of the new features of Android 4.2 noted. Let's get right into it! As long as you've enabled the magnifier, you can now triple tap on the screen for full screen magnification. From the power menu, you can enable "TalkBack," an Android screenreader. Android 4.2 brings a new camera app and High Dynamic Range Mode (HDR) widens the exposure range allowing you to snap pictures with more detail. And new editing options on Android 4.2 allow for more customization using filters and borders. Photo Sphere lets you take 360 degree shots and you can access your camera from the lock screen. The clock has been redesigned with both an analog and digital face, and believe it or not, but there actually is a share option for the new stopwatch. While it measures times, counts laps and can do split times, you can even share the results with non-believers. You can even have a countdown timer, run multiple timers and label them. The world clock lets you keep track of the time in different cities from the app itself or from the lock screen. And the new clock widget lets you choose from analog or digital style and allows you to resize it to include the time from other cities. Finally, there is full HDMI mirroring with support for notifications and multi-display. 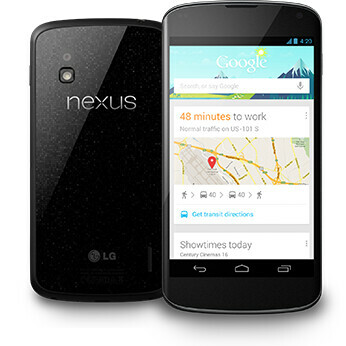 Coming next should be Key Lime Pie which we should see in May at Google I/O, quite possibly powering the Motorola X. 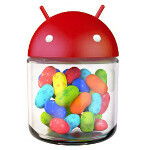 If you want to see the complete changelog for Android 4.2, check on the sourcelink. yes in deed bring it on ... go google!!! Google Nexus devices are never supposed to compete with other Android devices they are supposed to set the standard for devices running the latest versions of Android. Why would Google want to compete with it's OEMs and risk having them turn away from android and go develop more products for other OSs, or develop their own OS? The OEMs biggest failure with Android is not updating the software to the latest OS. Google makes it's money from getting it's software on as many devices as possible and not so much Android as Google search, Google+, Google Maps, Chrome, ect. You asked a question (why would Google want to compete with its OEMs) and wrote down the answer yourself: OEMs do not update, and Google needs fresh Android versions out there to compete with iOS/WP and to develop its ecosystem. OEMs prefer not to update, because they have to sell the hardware, so they try to push customers to buy a newer phone to have the latest software, and also because it costs more money to support older models with new software releases. Google earns its money by selling services and apps, so it needs to push software updates as fast as they can so that developers have a wider user base. So the two have different goals, that's why Google would be very happy to be able to sell the hardware themselves without having to rely on samsung (and the others). What's more, OEMs are using Android because users want Android. Users want Android AND Samsung. It's like a marriage where everybody would prefer to get on by itself but they just can't... for now!